At OJ Muller, we recognize that privacy of your personal information is important. Here is information on what types of personal information we receive and collect when you use and visit ojmuller.com, and how we safeguard your information. As with most other websites, we collect and use the data contained in log files. The information in the log files include your IP (internet protocol) address, your ISP (internet service provider, such as Rogers or Bell), the browser you used to visit our site (Google Chrome, Safari, or Microsoft Edge), the time you visited our site and which pages you visited throughout our site. Cookies are small bits of text stored on your computer by the web browser that you use to visit websites on the Internet. These cookies are used to recognize you when you return to a website and will be used to enhance your visit to and experience at this site. In addition to recognizing you, any preferences that you have set will be remembered. Cookies may collect your domain name, and may be used to deliver targeted advertisements or content to you based on your online behaviour or demographic information provided. If you set your browser to not accept cookies you may not be able to customize this site according to your preferences. If you access third party software and/or links available on this site, those third parties may collect cookies and/or Personally Identifiable Information from you. 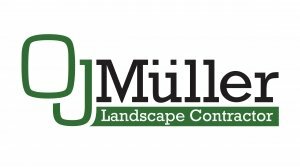 We also use third party advertisements (such as Google AdSense, a service for including advertisements from Google Inc.) on ojmuller.com to support our site. Some of these advertisers may use technology such as cookies and web beacons (invisible images) when they advertise on our site, which will also send these advertisers (such as Google through the Google AdSense program) information including your IP address, your ISP, the browser you used to visit our site, and in some cases, whether you have Flash installed. This is generally used for geotargeting purposes (showing Toronto real estate ads to someone in Toronto, for example) or showing certain ads based on specific sites visited (such as showing cooking ads to someone who frequents cooking sites). You can opt-out of this ad serving on all sites using this advertising by visiting http://www.google.com/ads.